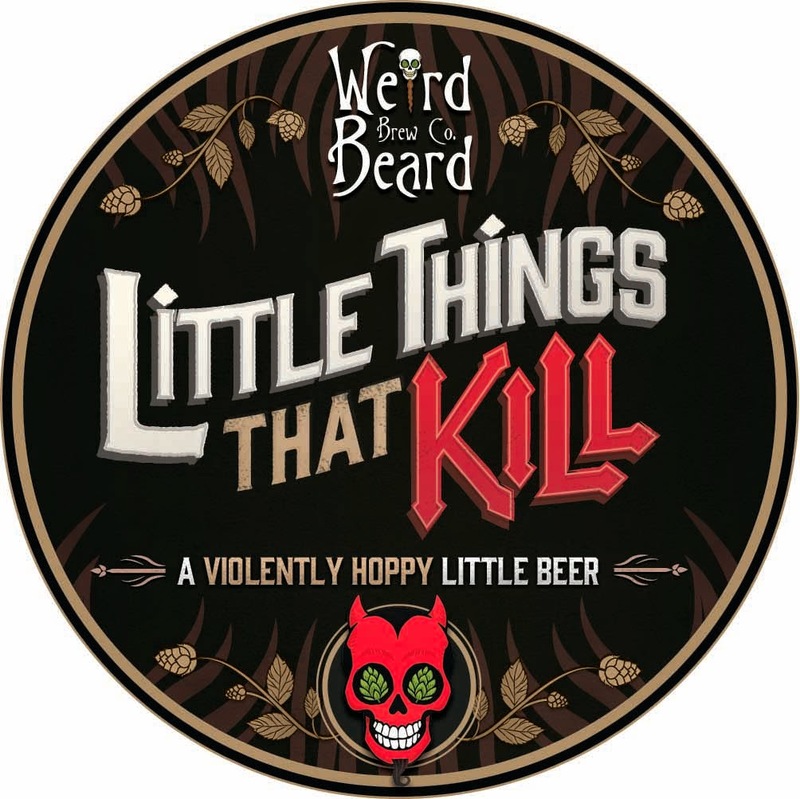 Little Things That Kill was one of our biggest sellers last year. We admit it also caused us and a lot of our loyal customers the most problems. The idea was to make a low ABV beer with some balls; a beer crammed full of flavour but more importantly with the body to support it. We originally made this beer unlike any other pale ale by approaching it as if it were a stout. When we make beer, we steep the grains in water and it is the water's temperature that makes a difference in the types of sugars produced. This is "mashing". Certain types of sugars are more fermentable than others; they are easier to convert to alcohol. Most pale beers will be mashed somewhere between 60-65 degrees Centigrade to produce sugars that are easily fermented. With stouts, we want unfermentable sugars, which when left give stouts their thick, luxurious body and mouthfeel as well as the higher calorie count. Little Things That Kill was mashed at the highest temperature we dared (+70 degrees. Centigrade.) This was to produce more unfermentable sugars, making the beer a little more chewy and sessionable. This did work to an extent, but not as we had hoped. We made a lot of unfermentable sugars, giving the beer the desired body, but we also made hard-to-ferment sugars. This meant our beer appeared finished and ready to bottle, when in fact it wasn't. 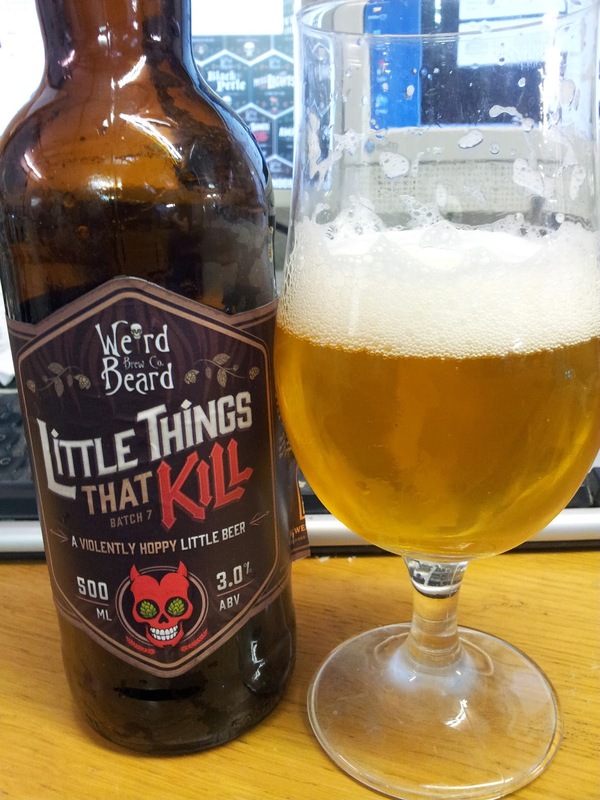 The problem with Little Things was that the beer was conditioned, as normal, with the sugar we prime with. Unexpectedly, gradually over time the yeast converted the extra, harder-to-ferment sugars in the beer also, leading to overcarbonated and unpourable beer. For these problems, we are very sorry and we faced the difficult decision to stop brewing Little Things That Kill. However, we love the brand so much and couldn't let it go. How could we really?! Not only does it have a cool skull logo, it happens to be named after a song by a, maybe-not-so-classic, British band that head brewer Bryan loves. We can understand that people may shy away from giving it another try, but we have made changes. We took a step back: came at the beer from a totally different angle and have breathed new life into the Little Things That Kill brand. We still mash high, but not nearly as high. We still approach it as a stout, by adding ingredients you normally find in darker beers. This time around we used generous amounts of wheat, oats and lactose to give a silky, fuller mouthfeel with better head retention. We appreciate these changes affect some people: those with wheat or lactose intolerances and vegans. We are sorry for this but we want Little Things That Kill to live. We have not compromised on hops though. The first of this new batch is stuffed full of Mosaic, Amarillo and Cascade in both the boil and dry hop stages. The result? We have a full bodied hoppy monster of a beer at a sub 4% ABV, making it the perfect session beer. We may continue to tweak the recipe though the batches, along with our usual changing up of the hops each time, so please do let us know what you think. We ask you to give it one more chance.